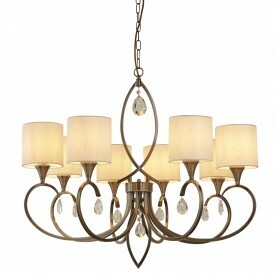 Bring an elegant touch with this attractive antique brass pendant with crystal drops. 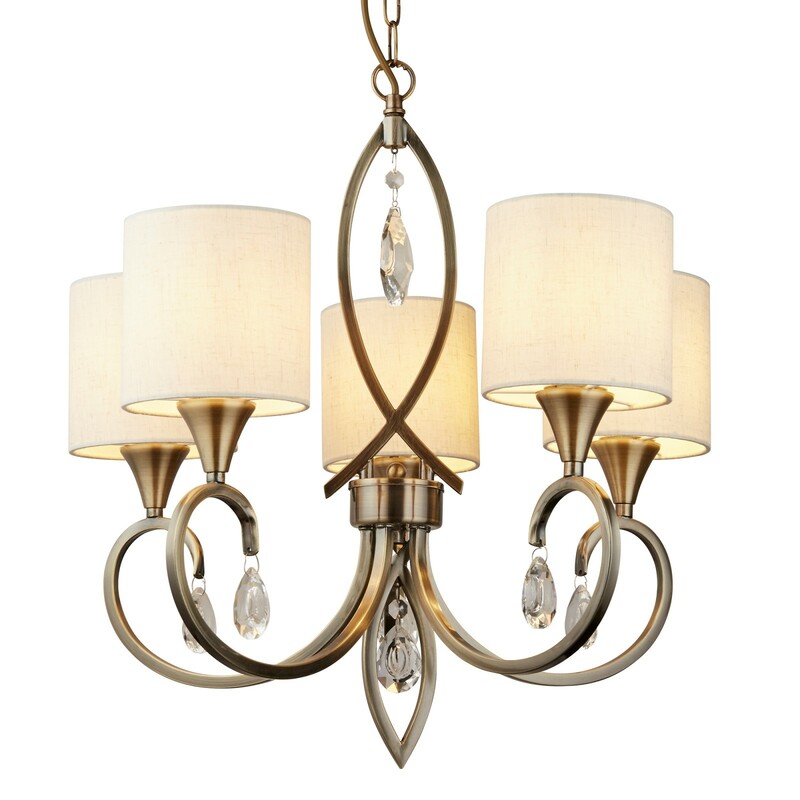 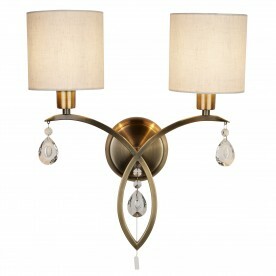 The 5 lights are topped with oatmeal shades which look great contrasted against the antique brass body. 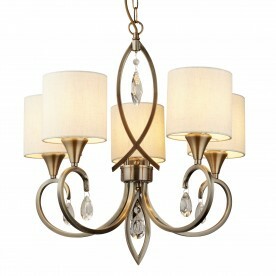 Ideal for dining room, living room or bedrooms.